In the spirit of giving back while still providing globetrotters with life-changing experiences, Exodus Travels is offering travelers the opportunity to share the gift of adventure with children who live in popular tourism destinations with their new Live Adventure, Give an Adventure campaign. For every booking made between now and February 28, 2019, the leading adventure tour operator, which hosts more than 600 journeys in over 100 countries worldwide, will send a child from a developing community on the trip of a lifetime with its responsible tourism initiative, The Inspiration Project. Designed with input from the community and run by local Exodus guides, The Inspiration Project takes children from destinations around the world on safaris, hiking trips and cultural tours within their own home countries. Beginning in 2017, Exodus Travels pledged to send 2017 children on a trip in a year, with the goal of inspiring a sense of ownership and pride in their homes’ cultural sites and natural settings. Since then, Exodus has hosted more than 4378 children on over 137 trips in approximately 28 countries. 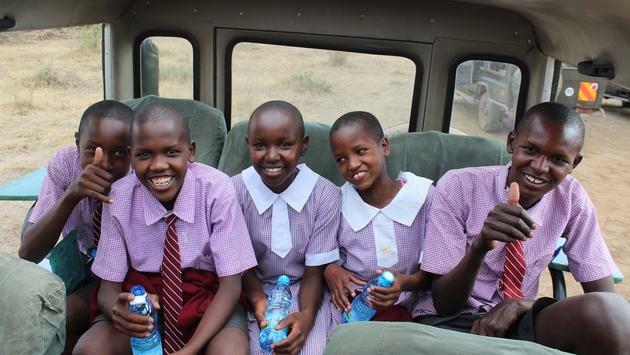 Past Inspiration Project trips have taken children from Nairobi on safari in the Mara Naboisho Conservancy, where they learned about conservation. For many, it was the very first time they had ever seen a lion. In India, kids who had previously never set foot outside their village ventured to Agra to experience the historical Taj Mal and Red Fort, while in Bosnia, kids from an urban neighborhood in Sarajevo were whisked outside the city for the first time to take in the natural wonders of the mountainous Sutjeska National Park. Inspiration Project trips for 2019 will include new adventures for communities in Cambodia, Laos, Kenya, Zambia. Learn more about Exodus Travels’ Live Adventure, Give an Adventure project here.